Actualizado el 11 de febrero, 2019 - 01.00hs. 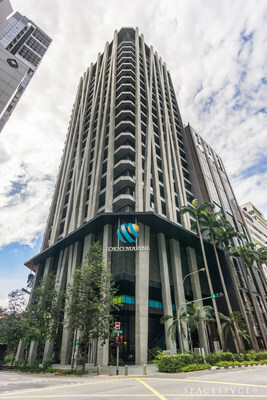 DAYTON, Ohio, Feb. 11, 2019 /PRNewswire/ -- STRATACACHE today announced the decision to open a new regional headquarters in Singapore for leading Asia-Pacific operations across the STRATACACHE family of marketing technology companies, including Scala. The new 3,100 square foot office will allow STRATACACHE to centralize operations and support for sales, marketing, development, services and customer support in the expansive region. STRATACACHE is experiencing rapid growth throughout the region, particularly in the sectors of quick service restaurants, retail transformation and retail banking, and leads the industry in bringing shopper and audience engagement solutions to market. All offices will report to Manish Kumar, STRATACACHE Managing Director and SVP of Asia­-Pacific Operations, who is overseeing the regional growth and will lead all Singapore operations. STRATACACHE has undergone a significant staff increase, to support corporate growth globally, including the acquisition and rebranding of an all-in-one intelligent computing and tablet device company, Scala China. 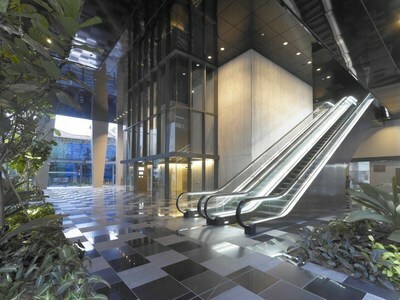 Scala is the lead brand for the STRATACACHE family of companies in the Asia-Pacific region. "Scala has built significant brand recognition as the flagship digital signage platform in the region, and there is significant potential for further growth in 2019 — by providing our clients in Asia-­Pacific with intelligent marketing technology solutions found across the STRATACACHE family," said Chris Riegel, CEO of STRATACACHE. "By moving the regional center of gravity to Singapore, we are streamlining operations and ensuring we're better serving our customers." "The STRATACACHE family of companies globally had a very profitable 2017-2018. Manish and team have orchestrated a tremendous turnaround in India and throughout Asia-Pacific, starting with services and solutions to the Scala client base," Riegel added. "Being able to leverage technology and expertise across the entire STRATACACHE family will further drive growth of the brand and the region's digital signage and marketing technology adoption." STRATACACHE provides scalable customer experiences, empowering retailers to learn deeply about their customers' shopping preferences and behaviors, allowing for personalized shopper interaction. Our solutions deliver consumer activation at the point-of-decision, generating new sales opportunities and enhanced retail profitability. With 2 million+ software activations globally, we power the biggest digital networks for the world's largest brands. Across the STRATACACHE family of complementary digital media/ad tech solution companies, we have the technology, expertise and track record to bring retail innovation that delivers results. Learn more about the STRATACACHE family at www.stratacache.com, on Twitter @STRATACACHE or on Facebook.